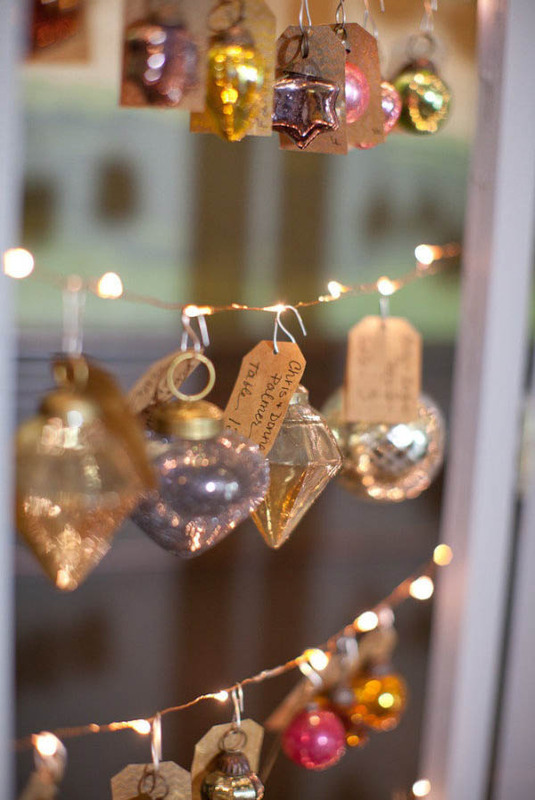 You are here: Home / Portfolio / Time to untangle the lights and decorate. 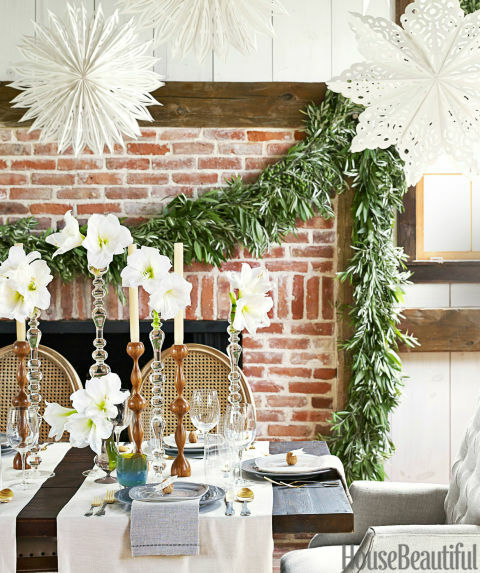 Dream Windows & Interiors is getting holiday ready. Our studio is decorated, and we are crazy, busy finishing interior design projects in time for our client’s first guests to arrive. 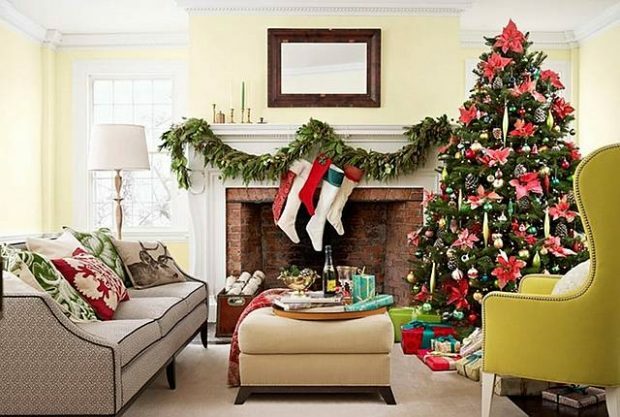 It’s definitely time for everyone to start decorating! Need some ideas? 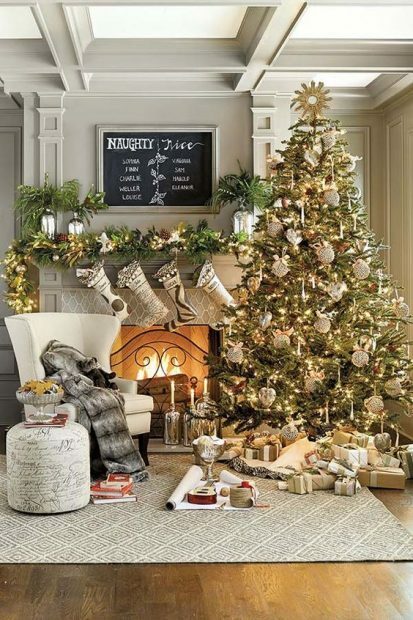 Below we have shared some of our favorite photographed spaces for the holidays, some simple yet beautiful and others so full of spirit you just want to sing carols and bust out the eggnog right now! 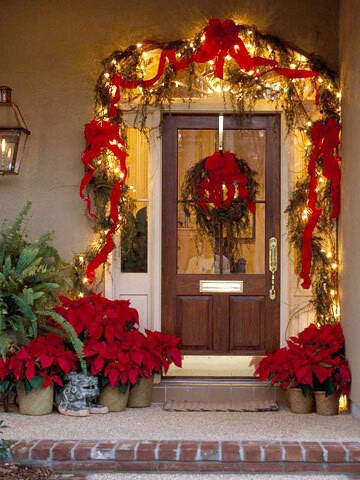 Christmastime feeling you will get once inside. 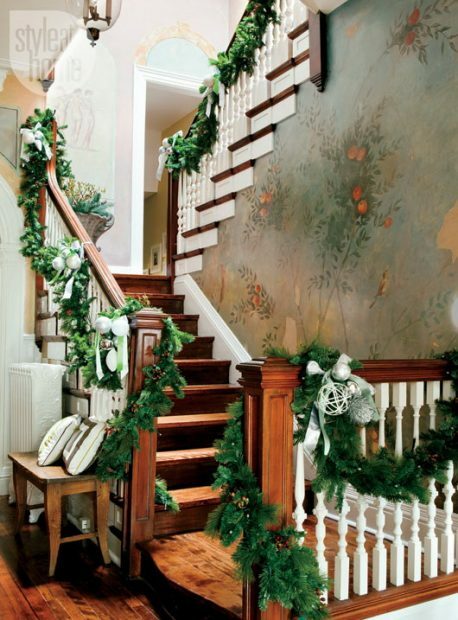 A simple entryway done holiday right. Really love these messy bows that aren’t really messy at all! 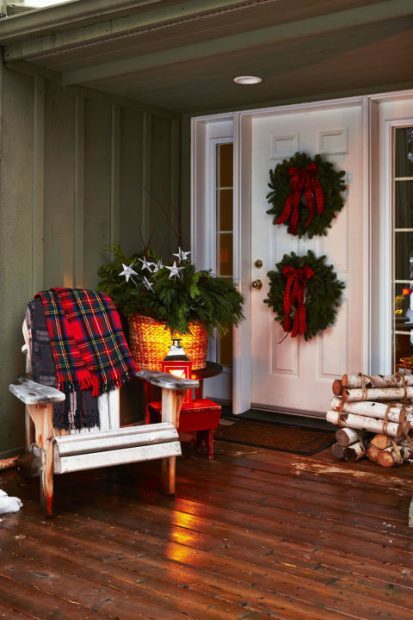 Yes, if you have a covered entryway, do add that red plaid throw and lantern. Now step inside these inviting spaces and you can just feel the magic. Pass me a cocktail, please! 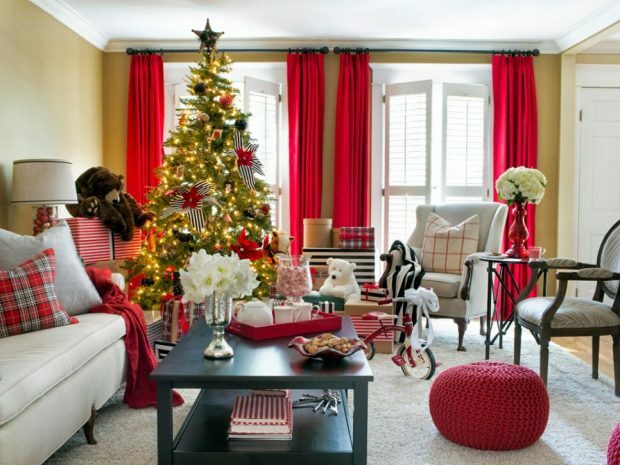 Switch out your window treatments to a Christmas red and you can go easy on all of the other decor. I love a cluster of stockings. The neutral room really gets glamorous in shiny silvers. Scandinavian decor accented in red. Looking at this I just know there will be cookies! 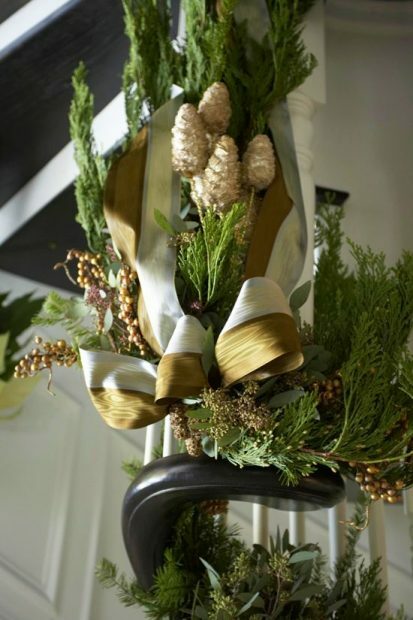 Fat, sweeping garland and crystal candlesticks adorned in white flowers add a soft, intimate touch. 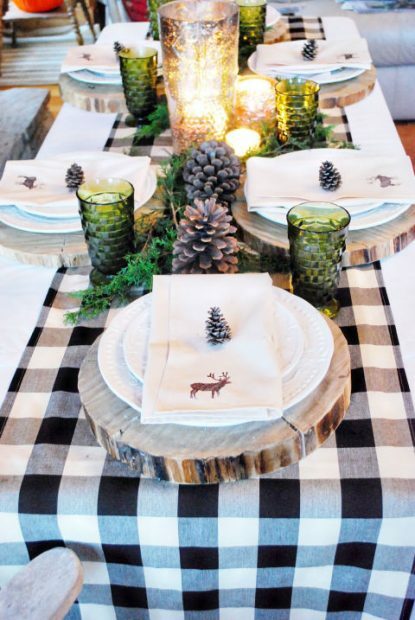 Rustic accessories and gingham immediately invite cozy to the table. 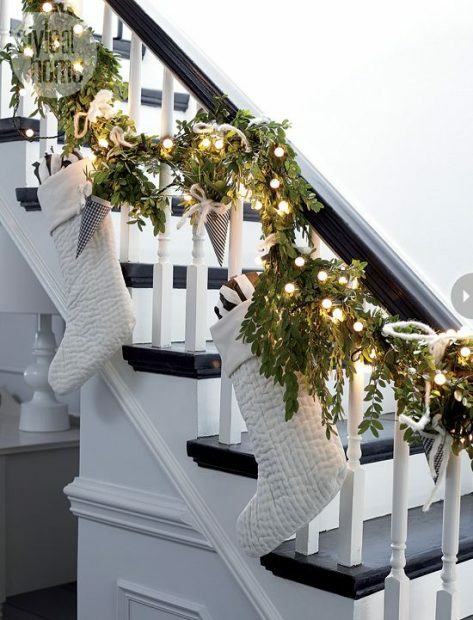 Courtesy White Buffalo Styling Co.
A gorgeous wood staircase is a beauty all on its own, but when the railing is framed in garland and lights, oh my! Courtesy of Style at Home. We are all dreaming of a White Christmas! 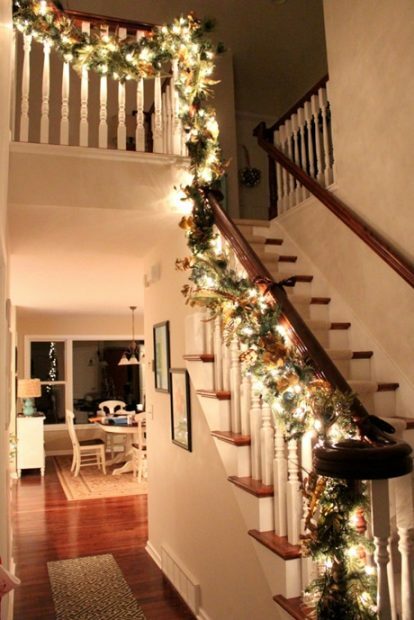 Now go untangle your lights and start decorating. 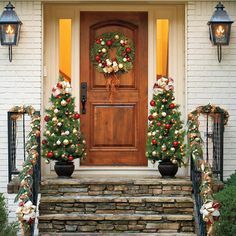 After all, its the most wonderful time of year! Previous Post: « Thank you for voting us Gold & Platinum in Interior Design!